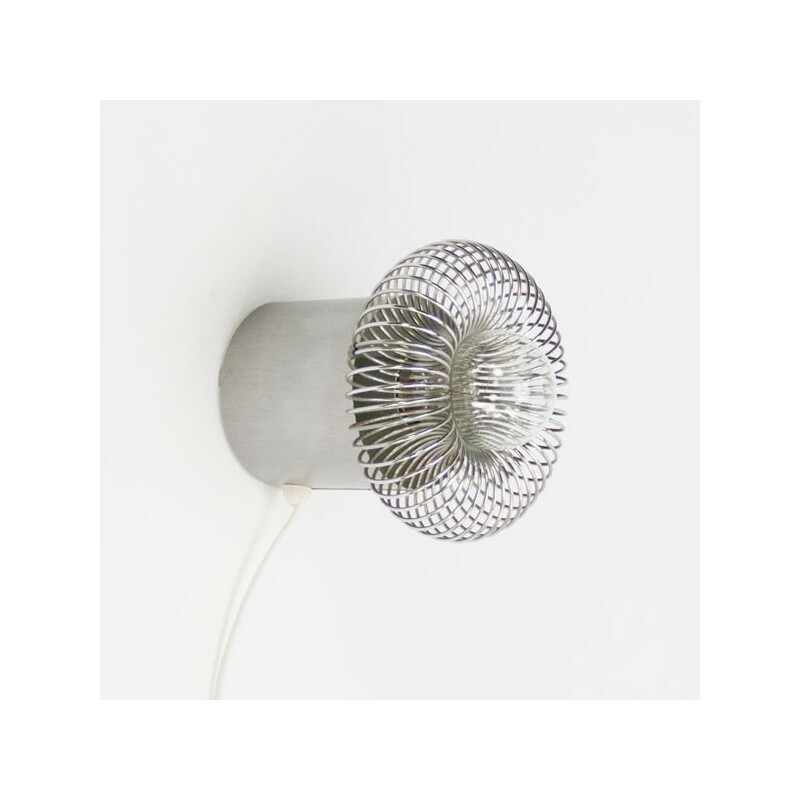 Vintage wall or table lamp from the early seventies. 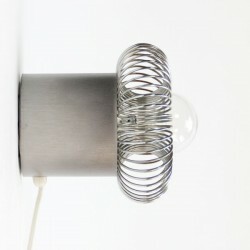 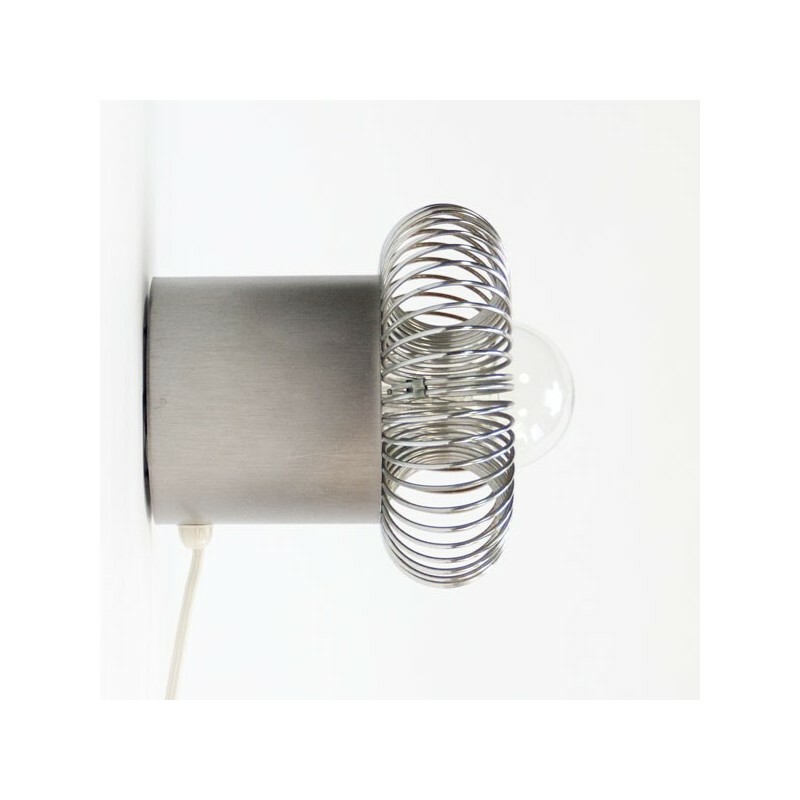 The lamp is made of aluminum and the metal spiral clinging to the light bulb. 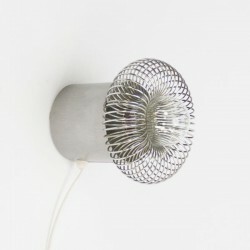 The lamp is 15 cm high and is in a good condition, see detailed pictures.